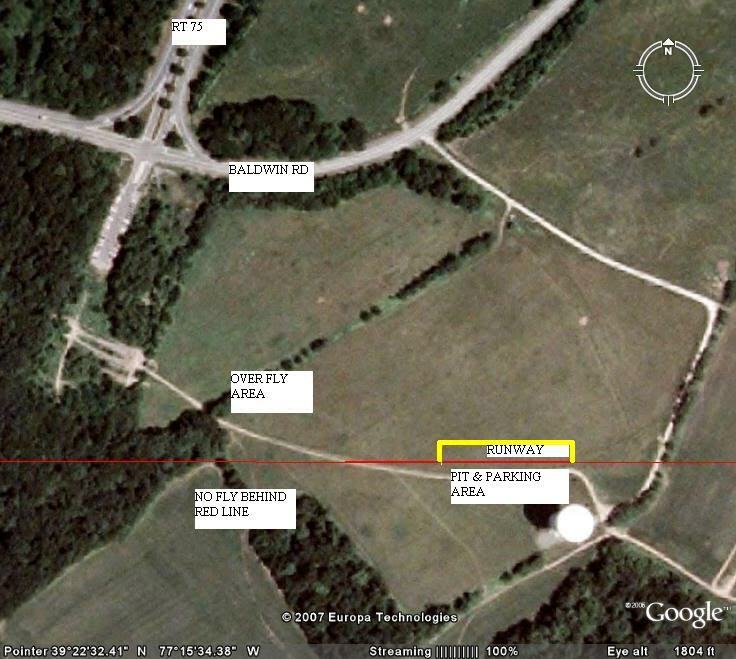 Our field is located in New Market, MD close to I-70 exit 62. Once off I-70 travel toward the Park and Ride making a left at the stop sign on Route 75. The field entrance is 1/5 mile from the Park and Ride on the right. The road to the field is rough pavement/gravel. It is at the base of the water tower to use as a reference when you are close. The Google map can be used below to get custom directions to the field using your starting destination.